This year, the 2019 Annual Lavender Law® Conference & Career Fair will be held August 7-9, 2019 in Philadelphia, Pennsylvania. The annual 1,600 person event is comprised of a half-day career fair and three days of conference training sessions and institutes. 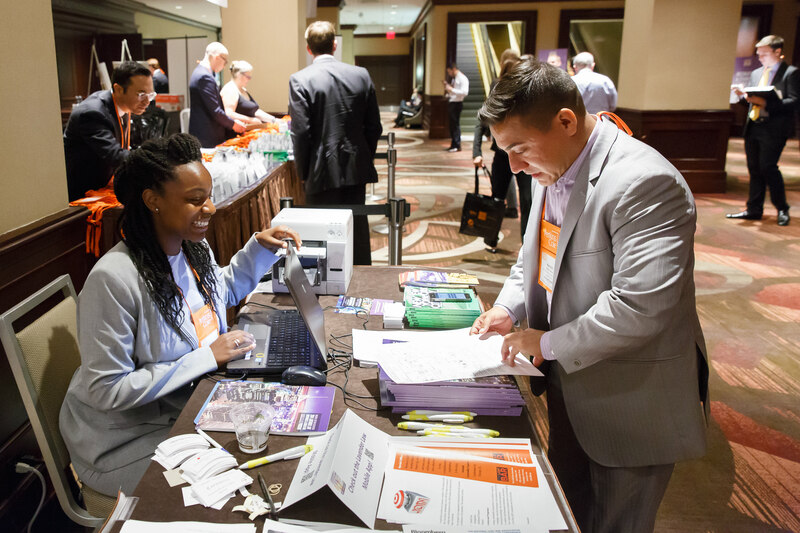 The National LGBT Bar Association would not be able to host Lavender Law® without the help of dedicated volunteers. Volunteering gives you a behind the scenes look at what it takes to make a large conference run smoothly. This is both a fun and educational opportunity for law school students, lawyers, and anyone else that wants to be a part of Lavender Law® history. Volunteers will assist with set-up, registration, workshop sessions, and various other tasks at multiple points throughout the conference. No previous volunteer experience is required. We will need volunteers starting Monday, August 5 through Friday, August 9. For volunteering your time, we offer some great benefits – the more you volunteer, the greater the benefits. For more information or to sign up as a volunteer, email your full availability, email address and cell phone number to Volunteer@LGBTBar.org.